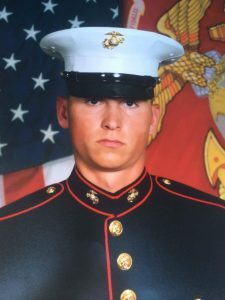 The Round Lake Area Exchange Club and sponsor Consumer Credit Union, are proud to announce the October 2017 Hometown Hero, U.S. Marines Corporal, Patrick Metz of Elgin. A fellow Marine-mother, Marlene Vogt, of Huntley, registered him for this honor. Metz is currently stationed in North Carolina. 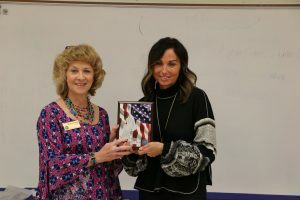 Metz’s honors include: Joint Service Medal, Global Wars on Terrorism Expeditionary, Meritorious Unit Citation, Presidential Unit Citation, National Defense Ribbons, Sea Service, and Global War on Terrorism. With the generous support of this month’s sponsor Consumers Credit Union, Metz’s “Hanging with the Heroes” care package will include some of his favorite snacks, a personalized “Hanging with the Heroes” t-shirt, and letters from Round Lake Area Schools students. The Round Lake Area Exchange Club will recognized Metz with a plaque on Wednesday, November 8, 2017 at 7:30am. The Round Lake Area Exchange Club meets the second and fourth Wednesday of each month at the RLAS-116 Administrative Service Center, located at 884 W Nippersink Rd, Round Lake, Illinois.